When you’re in the right mood, comfort food can really hit the spot. 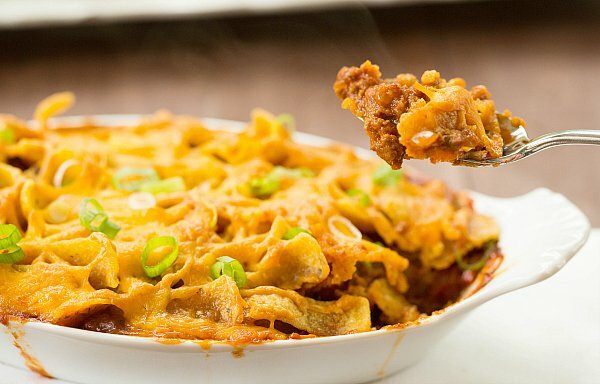 If you’re interested in trying out a classic comfort food recipe, then you must give our Frito pie recipe a try. The recipe makes 8 to 10 servings, and it works wonderfully both as a main entrée and as an appetizer that you can serve at a party or family gathering. The recipe packs a bit of spice too—it calls for both chili powder and cayenne pepper, so your eyes might water a bit after digging into this dish! After trying the recipe, consider sharing it with your friends and family on social media. Frito pie, while easy to prepare, calls for a number of ingredients. To get started preparing the chili, you’ll need two tablespoons of vegetable oil, two yellow onions, one red bell pepper, chili powder, ground cumin, cayenne pepper, salt, cloves, lean-ground beef (or chicken if you would prefer), dark red kidney beans, diced tomatoes and one can of tomato puree. For the Frito pie, you’ll need a bag of Fritos corn chips, 16 ounces of Cabot Sharp cheddar, and two green onions for a garnish. Brown-Eyed Baker came up with the recipe for this dish, so head on over to her site to learn more. As a quick side note, since Frito pie is a classic game day dish, you might want to pair the dish with some game-day snacks, like pretzels, nachos, and hamburgers or hotdogs. Chili is a great fall and winter dish—especially if it’s cold outside. If you’re interested in trying another chili dish, give our Cornbread Waffles with Chili a go. If you liked our Frito pie recipe, then you’ll go nuts for our Cornbread Waffles with Chili dish. 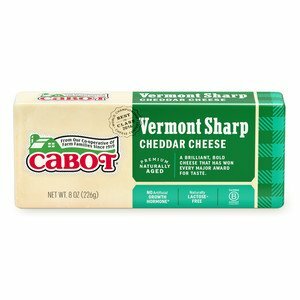 Cabot is a cooperative of 800 farm families, and we’ve been making award-winning dairy products for generation. We hope you enjoyed our Frito pie recipe, and we’re interested in hearing your thoughts about it. After making the dish, go ahead and rate and review it. Recipe courtesy of Brown Eyed Baker.